Last night Hidden Agenda had their every so monthly – free for all, ‘last man standing’ tournament. These are always a lot of fun. For some people their first pvp experience, and even though they tend to die a little faster, they seem to enjoy it quite a bit. 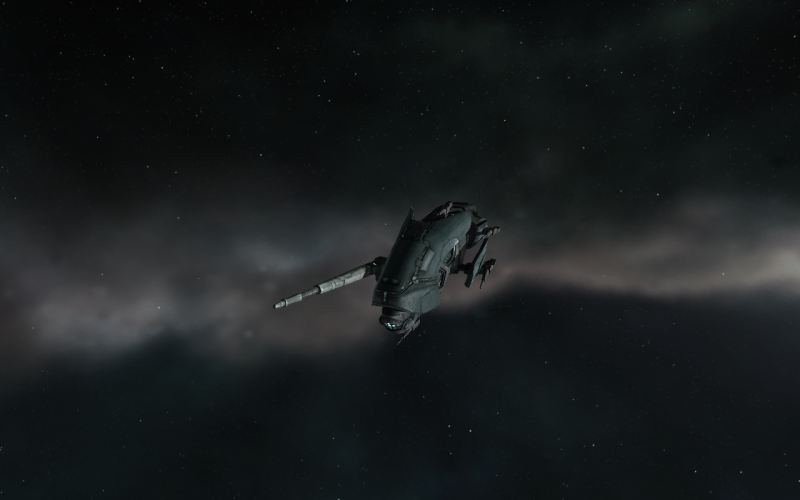 Belautis entered for me, in her trusty punisher. As you can see, I made a bit of a speed setup, as last time I couldn’t keep up with some people and got shot from a distance. Unfortunately it turned out I didn’t really need the speed. I disposed of one incursus but then got ZenGen on my back, also in a punisher. I couldn’t break his tank, but he slowly broke mine. At the end I had five people on me though, and even a punisher can’t take that much punishment. Round two should have been a cruiser free for all, but we had to redo the frig one, as some people warped to the wrong place and started battling there ;). I still had an incursus in my hangar equipped with 125mm guns and a hobgob and decided to give that one a try. It lasted much longer than expected but I went down to two people, though I did take a rifter with me. The punisher seemed to do very well do, I think 3 of the last 4 standing were flying one, especially due to it’s very well tanking capabilities. The cruiser free for all didn’t last that long, my arbitrator couldn’t kill a maller fast enough, although it was a decent one on one fight. At least so I thought, there were a few other people on the killmail as well. 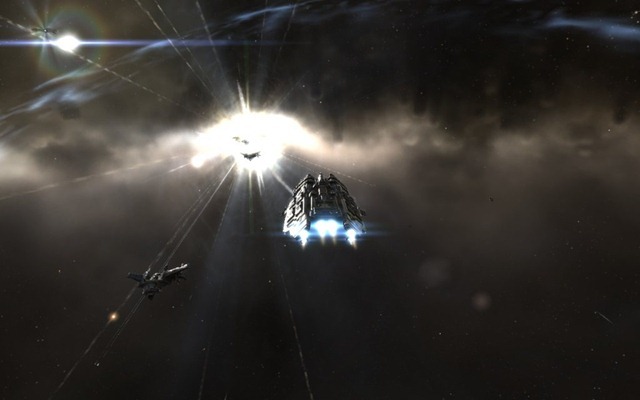 Vexors did very well here as you can devote a lot of it’s power and cpu to tanking as they use drones for weapons. All in all a fun thing to do for a corporation activity ! Morphisat never much pvped. Mainly carebearing in HiSec. But Friday night Hidden Agenda had a Low Sec Roam planned, I joined to finally get some pvp action with Morph. 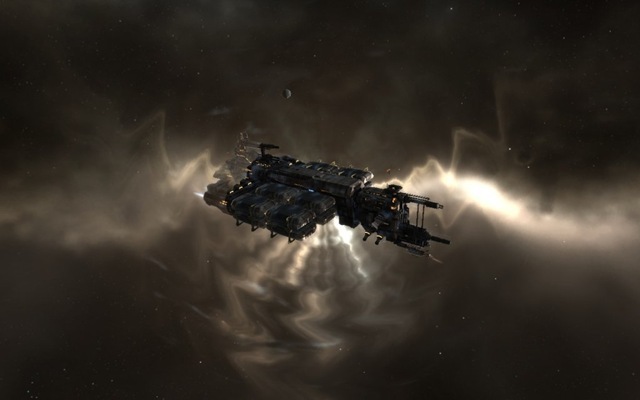 Most of the fleet consisted of Ravens, with a few inties, and some other stuff (a thorax and a drake). There wasn’t much roaming down as on the second gate sat a flashy dreadnought ! Apparently it was in Siege mode, as it tanked very well. But slowly his shields started to go down. A drake showed up (not quite sure why) that got blown up in the process. Then right on top of the gate we were fighting on, a Thanatos appeared ! We switched our focus on his, and he couldn’t tank all the torps coming in. Slowly but surely he went down. Especially the last few bits off his hull seem to take forever though. Some people had to warp out as they were shot at by fighters as well as the dreadnought, so damage output was starting to get a bit lower. Later on we had another engagement with the dreadnought, but this time he got more help and it was a little bit much, though a support drake went down. All in a successful op. ! We had a lot of fun. Didn’t expect to see any capitals at all, let alone blow one up ;). Today (feb 9th) it’s exactly one year ago, that I joined Hidden Agenda. The corp I was in previously had slowly bled dry. I had been looking for a new corporation for some time on the forums and I might even have joined the recruitment channel a few times. But I didn’t find anything that I fancy. Finding a nice corp that you feel at home with, is pretty hard ! I made a post on this blog asking for suggestions, and I got some. Of those suggestions, there was only one corporation that actually had non-afk people in the public channel and a decent website, and that was Hidden Agenda. It’s things like that that make a good impression on potential members ! After a rigorous background check I was accepted into HA. Although I haven’t been very active lately, I have had a very nice time in Hidden Agenda the past year. It seems to suit my semi-solo, but sometimes in-company gameplay very well. There are usually plenty of people on, willing to help each other if needed. There are group activities (mining ops, the odd frig tournament, lowsec security runs), but you’re not frowned upon when you do not attend, or miss one. 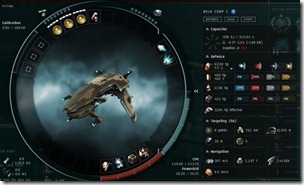 Hidden Agenda is one of the oldest corporations in Eve. I think the secret to it’s success is the mix of veterans and the influx of new people, who might even be only a few weeks old. Every now and then someone leaves or slowly fades away ofcourse, that’s inevitable. But the active recruitment by some members makes sure the corp keeps it’s freshness and does not slowly bleed to death. Without new players a corp slowly ends up with just a handful of core veterans, and it’s very hard to recruit people by then, because the newcomers will feel like outsiders, and it’s also hard to offer them something. In Hidden Agenda, new players are offered a lot of advise, they can come along mining (there is bound to be someone out there in a hulk) and raise their mission standings quickly. Also some of the richers members have been known to hand out some goodies to newer or less fortunate corp members. There are a lot of industrialists in the corp, so chances are there is a good deal to be made when you need something. 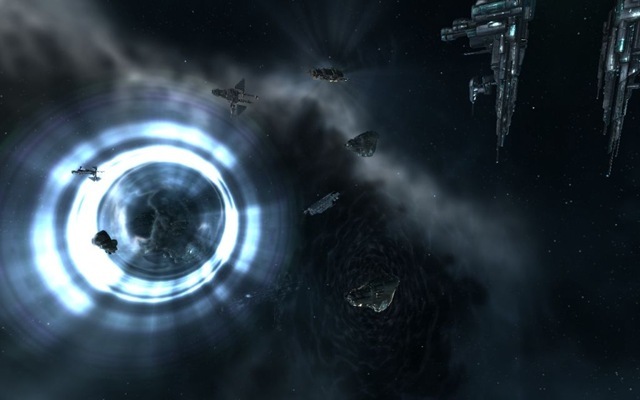 Lately the corporation has also been exploring Wormholes. I still have to make my way to one of them, but I am sure one of these days I’ll put together a Drake and pay them a visit in unexplored space ! To finish off this post, I’d like to shout out to Ruffio and Cattis and everyone else in Hidden Agenda who made the past year in Eve a fun experience ! To be honest it’s more than a week in review, more the past few weeks or so, since I have been playing a lot more, and participating in the blogging community again, but the title sounded more catchy :). Also this post was getting a bit long so I am saving some stuff, like my thoughts on the upcoming expansion for another post. First of all, I joined a new corp ! 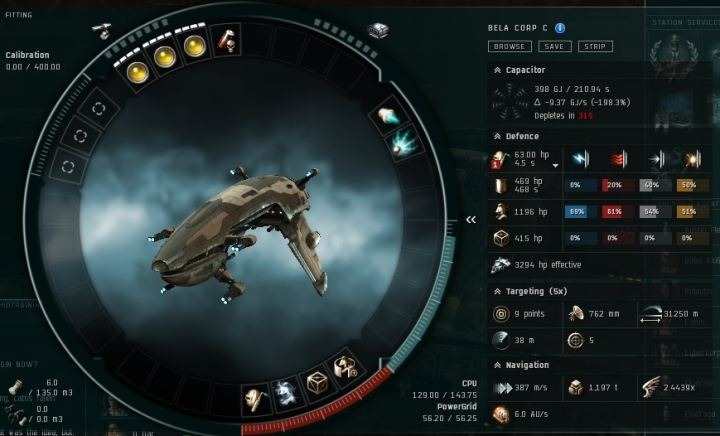 For me this is like turning a new page, a new step in my Eve career. I had been a member of Rakeriku for almost as long as I played, and it was so sad it just bled to death. But the people who were in there, and who are still active, still keep in touch through our own private chat channel which is pretty neat. Some have started a one man corp, some joined an 0.0 corp, and some are still looking around. 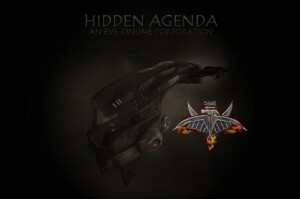 Hidden Agenda is the corp I joined. After hanging out on various chat channels, webforums and the like (this is worthy of another blogpost entirely), they seemed to be the best fit for me. Thanks to Tarik for suggesting them in the comments ! I already picked up some good trade and invention suggestions, and we’re all looking forward on working together on the upcoming expansion to explore the wormholes. Honourable mention to Rising Sun Inc, they seem to be nice people as well, just thought HA would be more my style. 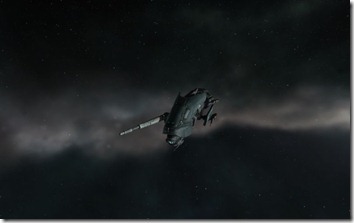 About missioning: I only needed few 10k of lps for the Ishukone corporation to get the 5 Caldari Navy BCU bpc, so I grinded that out in Hentogeira. They sold like hotcakes once they came out of the oven ! Must still be quite a demand for these type of items (ie. expensive mission gear ;)). I was getting a bit tired of being send into lowsec by the agent in Hento though and have now moved the mission gear to Gekutami, 4 jumps south. A bit crowded there but 2 decent level 4 agents in the system, and no lowsec missions. I don’t run too many missions anymore, but I just like having the opportunity. On the industrial front: I cashed in the lp’s I had accumulated over the past few months (since late november I think) and did some invention again. Was quite lucky getting 4 ogre II bpcs out of 5 tries. Then 4 out of 4 thermal shield hardeners failed :(. That was a first for me ! Of course I blamed it on Quantum Rise invention changes, but after some forum digging I think it’s probably just bad luck. I currently have some more in the oven and hope those will succeed. Not that big a profit on those, but every bit counts ;). Producing t2 items also comes with a bit of flying about to get all the parts at the best price. I invested in some bpos to make the ‘subitems’ myself, but the current price of ferogel and the like will still make expensive. But maybe I can shave off some expenses. I was successful in inventing some Kitsune bpcs, so my first step in T2 production has been made. I am currently learning Cruiser Construction, so I might try my hands on somewhat more difficult invention later this month. The eveblogosphere (including twitter) is currently buzzing with activity. Everybody is anxious to try the new expansion, it’s one of the biggest and game changing ones the game has seen so far ! More on that in a later post.